Learn about SMUD contracting opportunities for small, local business. 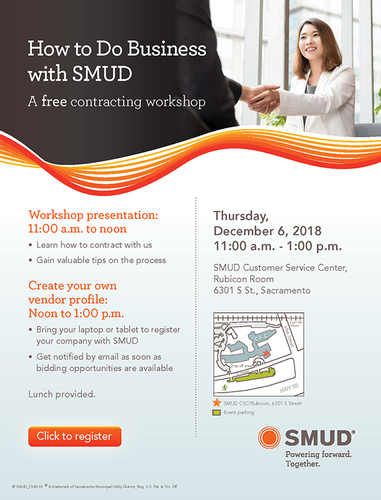 Learn about the SMUD contracting process. Bring your laptop or tablet to create your SMUD profile. Sign up for email notifications of SMUD contracting opportunities! Please RSVP for free admission and complimentary lunch.